Gabriel Byrne and Australian actress Sibylla Deen star in what appears initially to be a crime thriller, a Bradford-set production in which a loyal driver is drawn into the dark double-life of his wealthy employer's mysterious Muslim mistress. Deen's Amber – beautiful, ambitious, desperate – has an evil gangster ex-husband, a difficult and demanding, though barely comprehensible family situation, and has been cast by her Pakistani community as the wicked westernised girl most likely to burn in hell. Tasked with evicting her from his boss's love nest, Byrne's quiet, watchful Yorkshireman Donald is toting his own burden of loss and guilt. The ill-matched pair develop a sympathetic bond, which is very Neil Jordan's Mona Lisa, one might think. However, the lurching plot takes a different direction or three, with the hapless Donald along for the ride through too many confusing turns, bewildering culture clashes, via too many poorly-drawn characters, amid betrayals, abuse, sexual exploitation, blackmail and depraved thuggery. The big mystery is how so many distinguished names got on board with first-time director Mitu Misra (who also conceived the story). There are the strong leads. 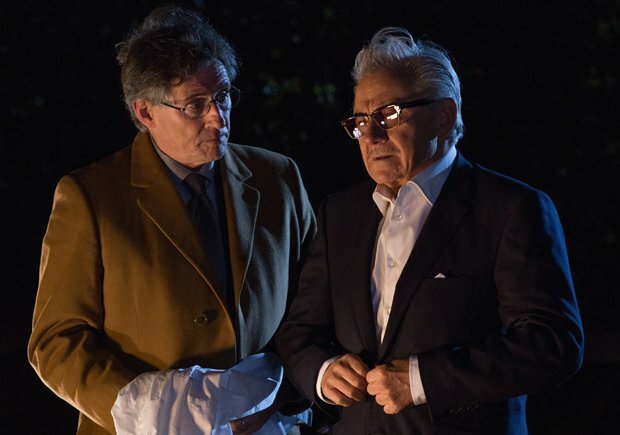 There are the eye-catching, all-too fleeting cameos from Harvey Keitel and Gina McKee. There are the handsome visuals that come courtesy of one of India's most renowned cinematographers Santosh Sivan (also notable as director of Ashoka the Great and The Terrorist), while the romantic score is by the late, great Krzysztof Kieslowski's composer of choice, Zbigniew Preisner. But all these assets are swamped by a weak, increasingly melodramatic storyline littered with horrible stereotypes and preposterous villainy. Selected release from Fri 2 Feb.
Amber (Deen) has an evil gangster ex-husband, whose driver, quiet Yorkshireman Donald (Byrne), is given the job of kicking her out of the love nest, but the two form a bond. The plot lurches along, becoming increasingly melodramatic, and there are too many horrible stereotypes and preposterous villains.